Executive summary: Synthesized cholesterol, Vitamin B12, etc. 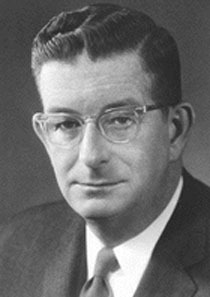 American chemist Robert B. Woodward performed groundbreaking work in the synthesis of organic compounds to the molecular level, combining the principles of physical chemistry with quantum mechanics. With William Doering, he completed the first complete synthesis of quinine in 1944, vital to the treatment of malaria. He finished the first complete polymerization of protein analogues in 1947, and the first total synthesis of a steroid, unraveling both cholesterol and cortisone in 1951. He synthesized lanosterol, lysergic acid, and strychnine in 1954, reserpine in 1956, chlorophyll in 1960, colchicine in 1963, cephalosporin C in 1965, and vitamin B12 in 1972. His laboratory also detailed the atomic structure of penicillin in 1945, patulin in 1950, and aureomycin and terramycin in 1952. In 1965, working with Roald Hoffmann, he introduced Woodward-Hoffmann rules, a method for exploring the electronic structure of transition states and intermediates in organic reactions. As a child, Woodward conducted several college-level experiments with his toy chemistry set. He graduated high school at 16, but was expelled from the Massachusetts Institute of Technology for "inattention to formal studies" in 1934. With sufficient apologies and a promise to try harder, he was readmitted the following fall, and earned his doctorate at MIT in 1937. He won the Nobel Prize for Chemistry in 1965, and taught and conducted research at Harvard until his death in 1979.